Anne & Martin Hilder, Rotterdam – Just like home. Thanks! Aude & Philippe from Bruxelles – Thank you for your warm welcome with such short notice! Bert & Arianne Klootwgk – Good breakfast, really enjoyed our stay. Hospitality amazing. Very welcoming. Spotlessly clean. Jon & Julie B – Lovely and peaceful, clean and comfy room, great food & hosts! Kevin & Julia Armstrong – as always a great stay. We will be back!! John & Claire Greenwood, Cumbria – a beautiful house, thank you. 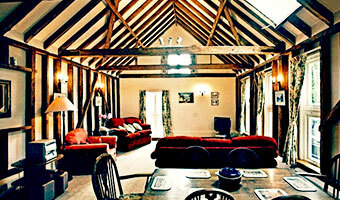 Anne & Mary, West Sussex – Really enjoyed our stay, beautiful house and views, good breakfast Jo!! Tony, Cliff, Alex & ‘The foreigner’ – Thank you for welcoming us into your home, being the perfect hosts and really helping us with our transport arrangements. Efharisto! Maurice & Laurine Vickery, Bright. Vic Australia. – Perfect hosts. We really enjoyed our brief stay in this area and Joanna & Paul gave us wonderful instructions how to get to castles & gardens etc. 10/10. Well done. Sue May & Warren, London. Thank you for a comfortable and very welcoming stay. Jon & Steve, Tallington. Fantastic place. Great people. Bob & Catherine KAY, St Albans – Great stay. Antoine & Paulette Rychman (NL) – second time around, so it must be good …..
John & Irene Newly, Worksop – Lovely home from home very welcoming. Herring?Dennett, Melbourne, Australia – Gorgeous home! Very comfortable & welcoming. June & Dennis Gibbs – An enjoyable & comfy stay, thank you. Helena & Ingrid Broberg, Germany – Thank you, it was great. Martin en Maria, The Netherlands – so nice to be back you’re lovely people. Jacqueline Dillon, Chicago, USA – Perfect!! Carol Carson, Derby – A very lovely stay in a beautiful place. Thank you! Rowe/Sutton, Surrey – Thanks so much very comfortable! Geert & Hilde from Belgium – Enjoyed it very much! Pierre & Anne-Marie from Belgium – Many thanks for your hospitality, we enjoyed it! Pearson, Kings Lyn, Norfolk – Very enjoyable, lovely setting. Thank you. Jeanette & John, Barbados – Thank you for a very comfortable stay. Geoff & Teresa, Norfolk – Excellent stay thank you. Trish & Roger Hickman, Kenilworth – Thank you both for being so friendly and entertaining. Ann & Edward – The truth is, lovely stay!!! Ekkehard & Elena Class, Austria – Very warm and wonderful stay. We enjoyed it very much. Smyth Family, Chiselhurst – Thoroughly enjoyed our stay, fabulous hosts. “The boys” & the “Sat Nags”, Northamptonshire – Thank you for your hospitality & the “banter”, putting the world to rights!! Paul & Christopher Fogden, Brighton/Dubai – A special time for us. Thank you for making us so welcome. Richard and Caroline – Thanks for staying in your house. Frank and Margaret Temperton – A little idyll! Jane & Steve Hunt, Battisford, Suffolk – So comfortable, peaceful and welcoming. Jane & Jonathan Pope, Battisford – Thank you, a lovely stay in every way. Suzanne & Goran Ljungberg – So nice to stay here. Jean & Peter, Essex – Enjoyed/Thank you. Kevin & Julia Armstrong, New Zealand – Another year, another enjoyable visit – thank you for everything. Helen Clove, Moya Griffiths – Really warm and friendly hosts, lovely stay in beautiful surroundings. John and Diana Hurd – A very enjoyable stay. Thank you. James and Claire Went – Just lovely! Many thanks. Peter & Sabine (Germany) – Wonderful. Thank you. Janice Swan – Idyllic, friendly and I loved having a round bedroom! Alison & Brian Martin, Epsom – A second lovely stay, thank you! Jan & Freda van Kraaj (NL) What a lovely place to be! Hospitality and good advice!Thanks, we’ll be back. Peter and Kate Barry – We certainly will be back & thank you for all your kindness. Corinne Thivollet, Benoit Lambert – We were happy to be here a lovely home and a very nice welcome. Un grand merci pour votre accuel! David, Nathalie, Victor, Adrien (FR) Thank you for your hospitality in this heart of Kent. Jem & Claire Dickson. Ross-on-Wye – Lovely place, clean, comfortable room and no tv. + Thank you for the hotwater bottle! Chris & Alison Cree – We could get used to this. Huge Thanks. Sue Nickson & Sandra Atkinson, S Oxon – Thank you for looking after us. Sandra Ellinor & (dad) Ray Ellinor, Norfolk – Lovely place & homely. Helpful ideas of places to visit. Lynne Burrows (France) – Lovely place – reflects personality of owners! Norma Auberlan-Potter – Perfect. Great B & B.
Chris, Bridget & Davi Knowles from York – Thank you, lovely stay. Jal & Ray Gupta, Worcs – Enjoyed our stay with you very much. We’ll be back. Bact, dirk, Ella & Stina, Belgium – Thank you for a lovely stay you make the perfect team. Hazel & John Mills, Loxley, Warwick – Superb! Comfy lovely location & friendliness. John Bushnell & Richard Whitehead, Derbyshire – Stayed in a room with a beautiful view. Tina Sethi & Rowland Roome – Perfect in every way. Sue and Colin Gannaway – Thank you for another lovely stay. Tony & Ann Bott, Suffolk – Thank you for a lovely stay & so friendly. Ann & Mike McNamara, Berks – Lovely stay, excellent hosts, great breakfasts. Dan & Pip Walne, Suffolk – Absolutely perfick! Thank you all so much. Trevor Coleman – What a situation! Lovely host! Chris & Sam V, Hants – Wonderful, warm welcome from lovely hosts. Will highly recommend! Thank you for being so helpful and accommodating! Ulla, Andrea, Julia & Valentina, Bavaria, Germany – Thank you for an unforgetable holiday in your wonderful house! We loved it! G, P, & C Martin, Ruislip – Lovely stay, very welcoming thank you. Sallie & Janet Harkel, Antigua – Glad we chose you! Marion & Derek Shore – Home from home! Made to feel very welcome, Thank you. Nicholas Frances Victoria Noble – A haven of peace with a warm welcome thank you! And see you again – soon. Sylvia & Clive Fitz, Hayling -Wonderful as usual. No name – Absolutely lovely! So happy we came here! Mary Rottschild, Arizona – A great find and perfect for our nostalgia TRIP! Gaelle & Paul Tregoning, Australia – Great hosts! Bernard Thomson, Switzerland – Lovely stay. Peter & Judith Barrington, London – A happy & comfortable stay! Gabriel, Germany – We were happy to be here! Carola & Geardie Poulsen – Welcomed warmly into this family home we shall return. Leni, Ronald, Frauz & Dorothea, Germany – Beautiful rooms and wonderful hosts* Unforgettable: Tea in the kitchen and warm towels at the end of a cold rainy day! Thank you very much, Joanna and Paul and all the best for the two of you!!! and this overwhelming lovely view over the landscape! Stanislas, France – C’est super on fort super bien la vue magnifique. Tout ce passe tres tres bien, le dejeunetries tres bon continues comme ca!! Aurevoir!! Merci!!! Fam van den Berg, Dom. Rep – Wonderful place! Philip & Ria, Belgium – Hard to find but Heaven!! Steven & Lucy Chapman, Suffolk – LUSH!!! Ted & Sue Pater, Surrey – A wonderful find! We’ll be back…. Luc & Lea, Flanders – The perfect B & B! Martin & Ciel, Belgium – Lovely place, lovely people. Thank you very much. Emma, Thomas & Terrie, Norfolk – Wonderful relaxing stay lovely hosts. Thank you so much! Demelza & Edward, Oxfordshire – Thank you for another great visit. Yvonne & Peter Morant, Perth, Australia – Enjoyed your warmth & friendliness it was a most comfortable stay. Thank you. Barbara Hilton – Many thanks for a comfortable welcoming visit. Susannah & Gary Butcher, Lynsted – Wonderful stay, thank you!! David & Stephanie Jones, Essex – Beautiful house. Wonderful hosts!! Jeanne Giulio Conora, Italy – Thank you for so friendly welcome and perfect stay! Brian & Gerry Shaw, Bedfordshire – A great stay! Happy Flying! Mario Kuibus, Bucharest, Romania – An incredible family, lovely and amazing and willingful!! Christine Puddicombe, Sussex – A+ all departments Great Place. Reinhard, Nicola, Robert, Clarissa, Vienna, Austria – Thanks for warm hospitality. Sarah & Lauren (Beauty by Sarah, Shrewsbury) – Thank you for a lovely stay, we were made to feel very welcome. Paulette & Antoine Ryckman, Belgium – What a warm welcome…. What a lovely place to stay… We’ll come back! Jean Tennant – Thank you for a very pleasant stay and warm welcome. Helen, Kelvin & Sam Grayston, Gloucestershire – Thank you for a lovely stay. We enjoyed a delicious breakfast! Demelza & Edward – Thank you for a kind welcome and an excellent breakfast. See you again! Clive Simons – Thank you for your warm welcome and for sharing your beautiful home. Tom & Lesley Dudson – Great stay, friendly hosts & charming property. Brigitte & Gordon – Thank you for a lovely stay, a delicious breakfast and above all friendly & delightful company. Jody & Rob, Surrey – The nicest B & B we have stayed in. Thank you. The Tidman’s, New Delhi, India – A lovely welcome to new beginnings at Cranbrook! Aleksandra & David Mathews, Bristol – We had absolutely wonderful time here. Many thanks for your very warm welcome, peaceful nights and delicious breakfasts. You are fantastic hosts! That was our first trip to Kent. We love it and will be back soon! Silvia & Peter Ensink, Geneva – Great room, fabulous view, and wonderful breakfast. Mark and Maria from Sittingbourne – Beautiful house have had a lovely stay Paul and Jo were very helpful, will gladly recommend to others. Steve & Sue – Splendid sleep. Great family. Good luck. Ester Guirado, Spain – Dear Jo, Paul, Katie, Sophie & Will. We had a very pleasant stay here at your house. Thank you so much for everything. Come and visit us soon in Spain. See you soon Ester & Anne. Zoe, Christopher & Annabel Barker, Haslemere, Surrey – Thank you for a delightful weekend. Your hospitality and warmth surpassed all expectations. We would highly recommend you to our friends. Thank you for sharing your family life with us! Kevin Armstrong, Nelson, New Zealand – Great weather, great hospitality and great friends. Thank you. Kevin Julia, Thomas Michael & Jack Armstrong, New Zealand – What a remarkable family. What a fantastic visit – from Soccer, swimming and even cooking..! Our stay was made magical by the Mantles! We’ll sure be back for more !